Award Year: 2003 Despite improved treatments for many mental disorders, profound racial and ethnic disparities continue in access to and use of mental health services in the United States. Social psychologist Harold W. Neighbors, Ph.D. has spent more than 20 years conducting research on mental health disparities. For his Investigator Award project, Racial and Ethnic Disparities in Mental Health: A National Study of Unmet Need, Dr. Neighbors analyzes differences in the prevalence of serious mental disorders, levels of impairment, and help-seeking behavior. He explores why African Americans seek professional help less frequently than white Americans. He also looks at how reliance upon help from social support networks and ministers, common in African American communities, can impede access to professional treatment. By integrating this new information with his past work, Dr. Neighbors plans to produce a comprehensive book that explains disparities in help-seeking and explores policy options for reducing them. 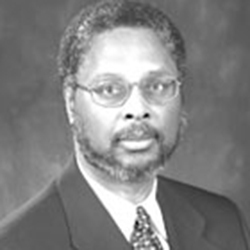 Harold W. Neighbors is a professor emeritus of health behavior and health education and associate director of the Center for Research on Ethnicity, Culture, and Health, where he is the principal investigator of two NIH training programs, Promoting Ethnic Diversity in Public Health Doctoral Training and the Michigan Bridge to the Doctorate Program. Dr. Neighbors is also the director of the Program for Research on Black Americans at the Institute for Social Research where he co-directs the African American Mental Health Research Center and is a co-principal investigator on the National Survey of American Life. His research interests include racial and ethnic influences on psychiatric diagnosis and community case-finding of mental disorder, and use of informal and professional mental health services by African Americans. Griffith, D.M., Neighbors, H.W., Johnson, J. Using National Data Sets to Improve the Health and Mental Health of African Americans: Challenges and Opportunities. Cultural Diversity and Ethnic Minority Psychology, 2009, 15(1): 86-95. Sellers, S.L., Neighbors, H.W. Effects of Goal-Striving Stress on the Mental Health of Black Americans. J of Health and Social Behavior, 2008, 49(1): 92-103. Neighbors, H.W., Woodward, A.T., Bullard, K.M., Ford, B.C., Taylor, R.J., Jackson, J.S. Mental Health Use among Older African Americans. American J of Geriatric Psychiatry, 2008, 16(12): 948-56. Broman, C.L., Neighbors, H.W., Delva, J., Torres, M., Jackson, J.S. Prevalence of Substance Use Disorders among African Americans and Caribbean Blacks in the NSAL. AJPH, 2008, 98(6): 1107-14. Woodward, A.T., Taylor, R.J., Bullard, K.M., Neighbors, H.W., Jackson, J.S. Use of Professional Services and Informal Support among African Americans and Caribbean Blacks with Mental Disorders. Psychiatric Services, 2008, 59(11): 1292-8. Neighbors, H.W., Njai, R., Jackson, J.S. Race, Ethnicity, John Henryism, and Depressive Symptoms. Research in Human Development, 2007, 4(1-2): 71-87. Williams, D.R., Gonzalez, H.M., Neighbors, H., Baser, R., Jackson, J.S. The Mental Health of Black Caribbean Immigrants: Results from the National Survey of American Life. AJPH, 2007, 97(1): 52-9. Mattis, J.S., Mitchell, J., Zapata, A., Grayman, N.A., Taylor, R.J., Chatters, L.M., Neighbors, H.W. Uses of Ministerial Support by African Americans: A Focus Group Study. American J of Orthopsychiatry, 2007, 77(2): 249-58. Sellers, S.L., Bonham, V., Neighbors, H.W., Amell, J.W. Effects of Racial Discrimination and Health Behaviors on Mental and Physical Health of Middle-Class African American Men. Health Education and Behavior, 2006, 36(1): 31. Joe, S., Baser, R.E., Breeden, G., Neighbors, H.W., Jackson, J.S. Prevalence of and Risk Factors for Lifetime Suicide Attempts among Blacks in the U.S.. JAMA, 2006, 296(17): 2112-23.